Technology is at the forefront of change in education. As a result, schools are often looking for ways to integrate the latest and greatest technology in their classrooms. This presentation will explore one of those technologies and its classroom implications. Technology that combines the use of specialized software with a printer that can create three-dimensional, physical objects from plastics and other flexible materials. 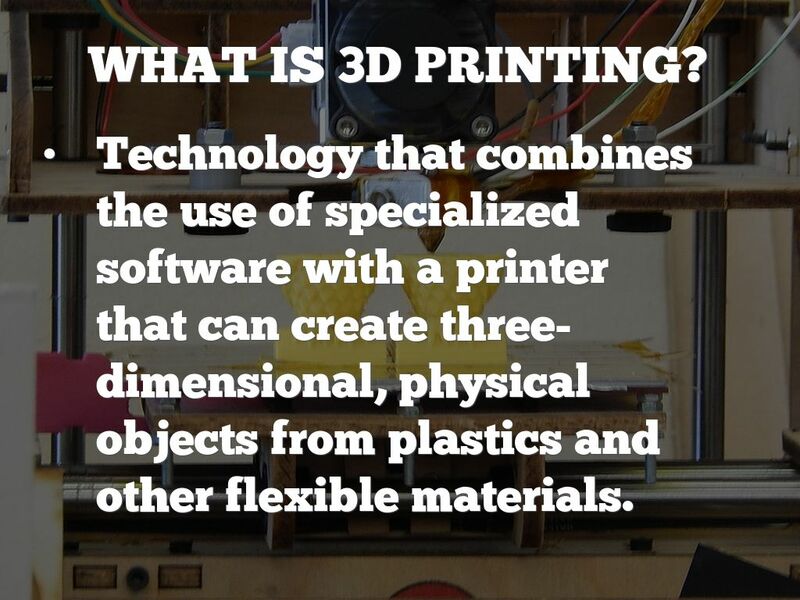 Since the early 2000s, many people have begun exploring real world uses for 3D printing. - The US Department of Defense created aerospace parts. - General Motors created parts for the 2014 Chevy Malibu. - Medical professionals developed body parts for transplants, saving lives. - Architects created models of buildings. And, the uses just keep getting more creative every day. 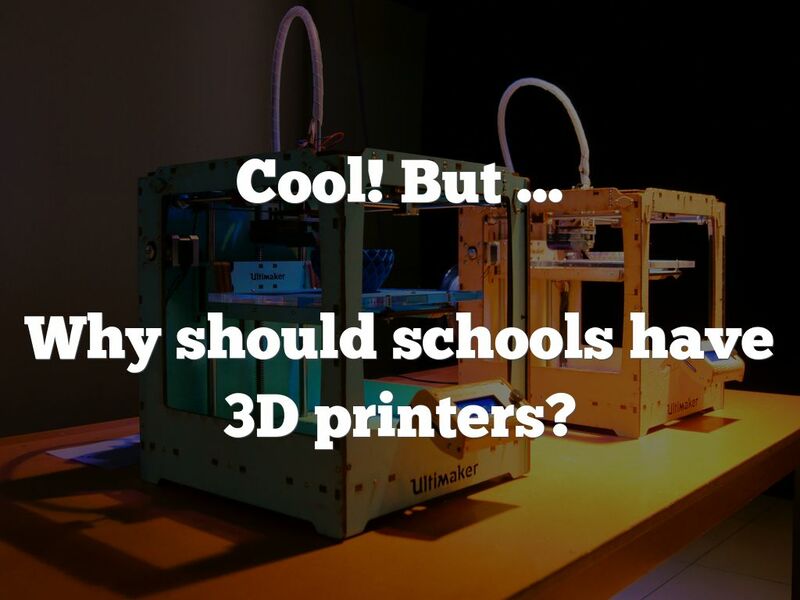 Why should schools have 3D printers? 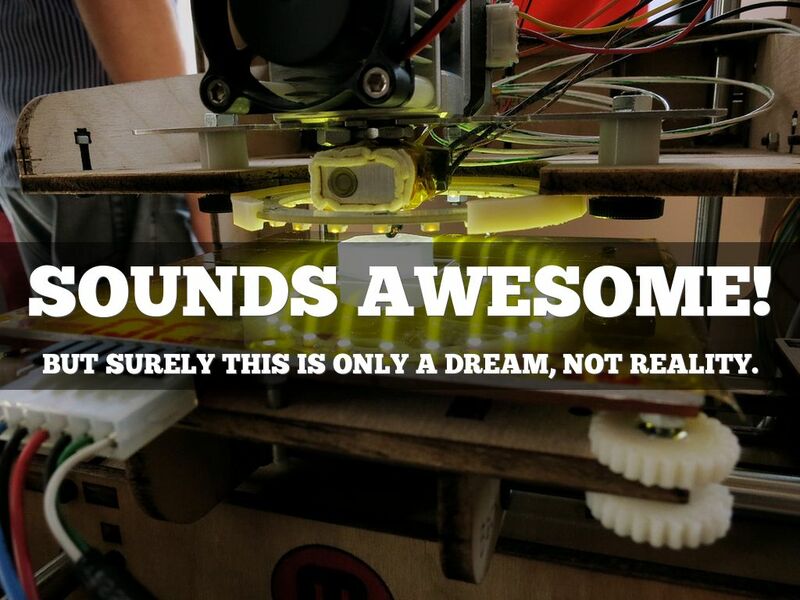 3D printing has a number of authentic, project based classroom uses. - Creating tangible versions of math and science concepts like graphs, models of cells and DNA, and chemical structures. - Recreating ancient cities and landscapes for a history or geography class. 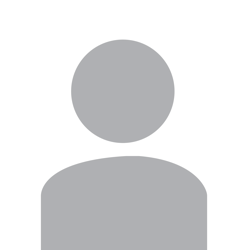 - Adding a new medium for expression as part of an Art or Literature class. BUT SURELY THIS IS ONLY A DREAM, NOT REALITY. 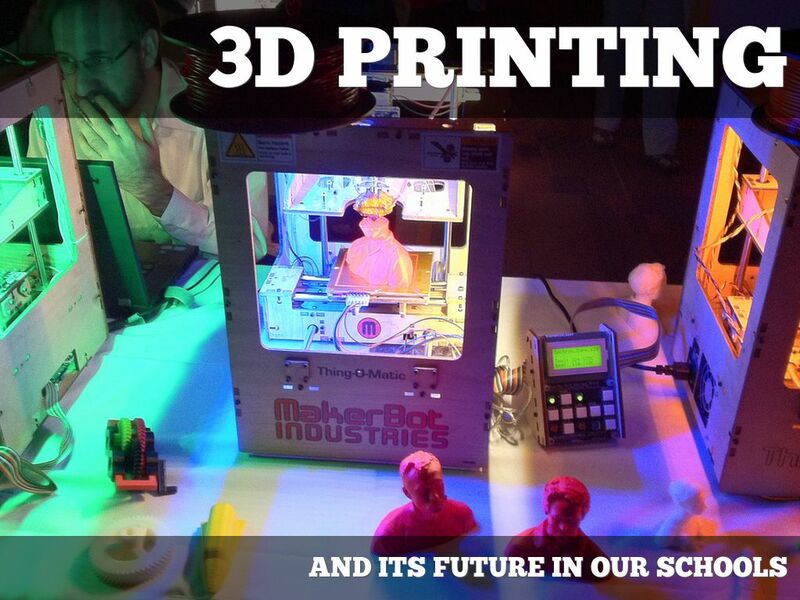 There are real schools doing real, amazing stuff with 3D printers. -The Taipei American School in China uses 3D printers to teach students about the engineering design process. -Mahtomedi High School in Minneapolis has a FABLab with 6 3D printers that are used in engineering and design classes to gain valuable, real world experience. -Students at Mt. Blue High School in Maine made and art exhibit to display their understanding of the graphic novel "Watchmen" using 3D printing technology. 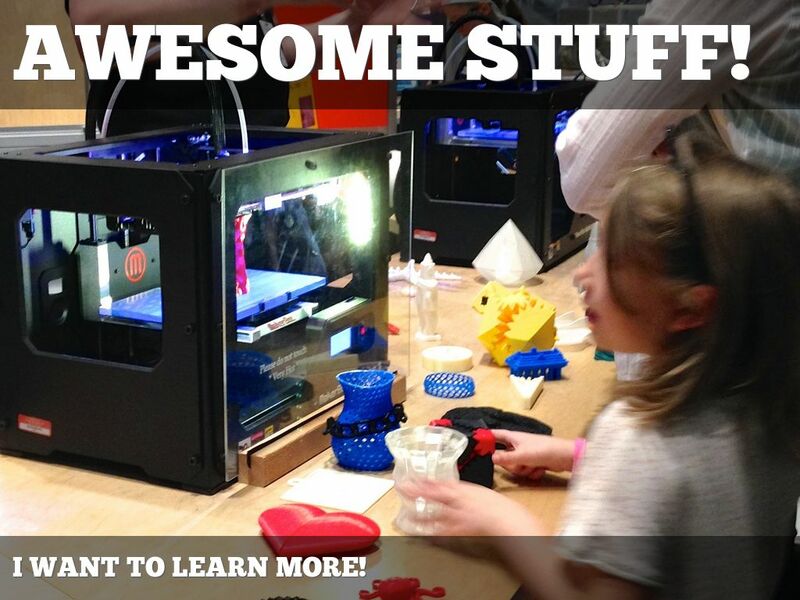 Want to get a price on a 3D printer or two? Becker, S., Estrada, V., and Freeman, A. (2015). NMC Horizon Report: 2015 K-12 Edition. Austin, Texas: The New Media Consortium. Pannoni, A. (2014, July 21). 3-D printing becomes accessible for high school teachers. US News.